Jadielady: Merry Christmas to me! Actually, I did have a very awesome Christmas. 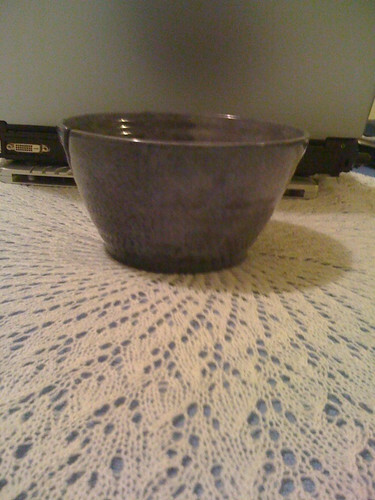 But a week or so before Christmas, I was very naughty and bought myself a yarn bowl. Then I forgot all about it until I went to check my mail today!!! We made our home presentable because my grandmother came over with my dad and sister after dinner. So I decided to put my veil on the table! I think it looks nice, but keeping Tripsie off is a challenge. However, if Tripsie does knock over the bowl, it won't break!! That's right! It's made of aluminum so it won't break! Finally, a cat-proof yarn bowl! 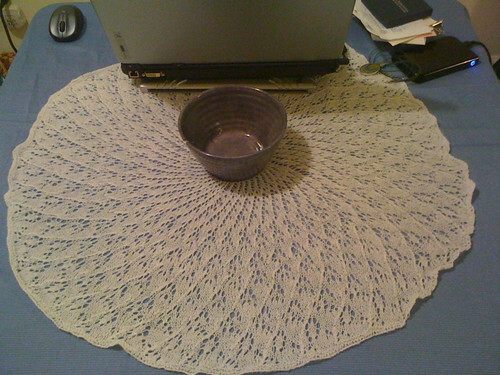 My camera doesn't quite capture the colors very well... but it goes well with the table cloth! He also has some yarn and very cute note cards. oh so pretty! love the bowl..have to check out this shop.. I'm going to Kyle's too. 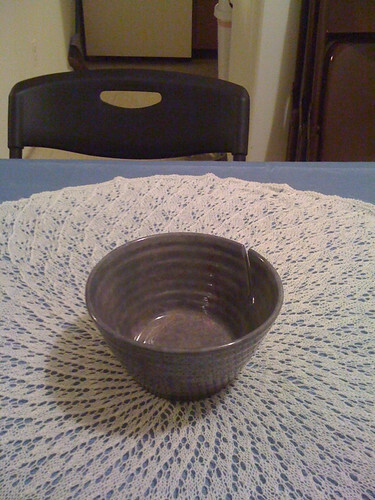 I live in fear for my Studio 43 bowl and I've snarled at kids and animals alike if they got too close.